When talking about Camera Zizanio all paradoxes may occur. 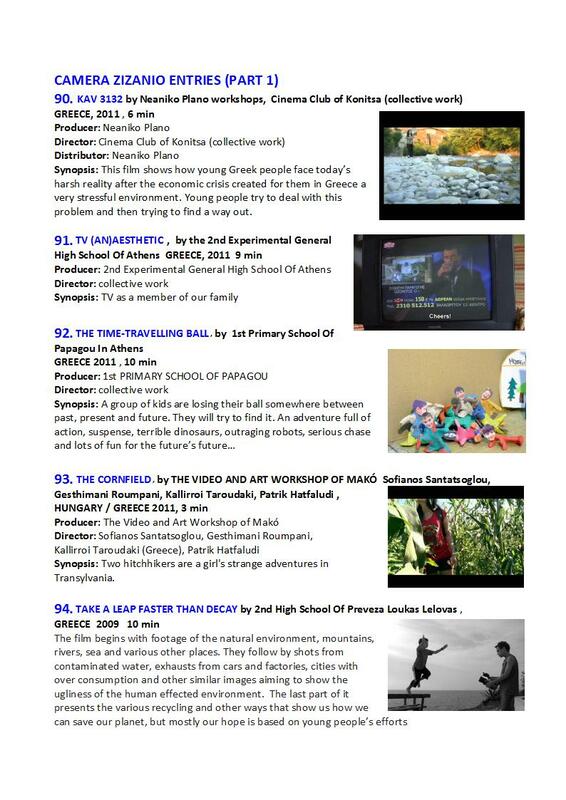 Because, while our friends from the North are preparing their baggages to come to the warm South for our Festival (1-8 December), the films of Camera Zizanio travel to the snow! 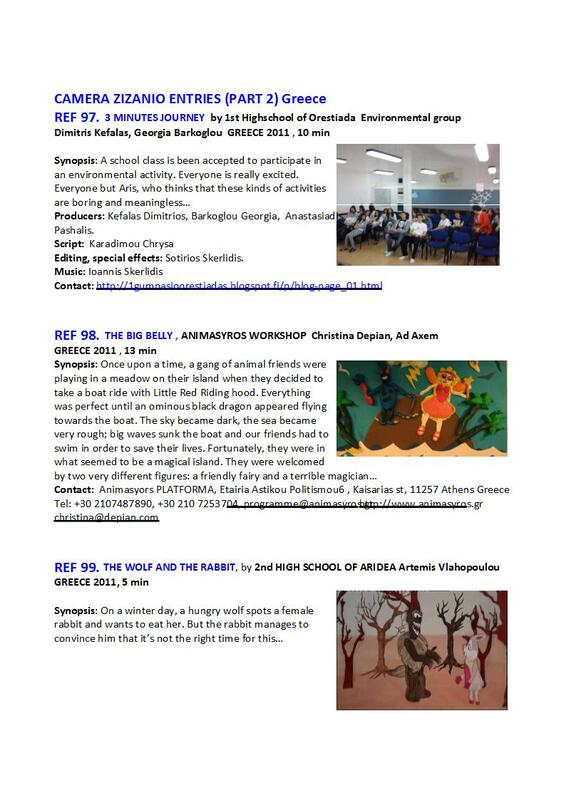 The Greek youthful creations are going to have a strong presence in the section for young people of the WILDLIFE VAASA FESTIVAL 2012 of Finland held in Vaasa from 22 to 25 November 2012. 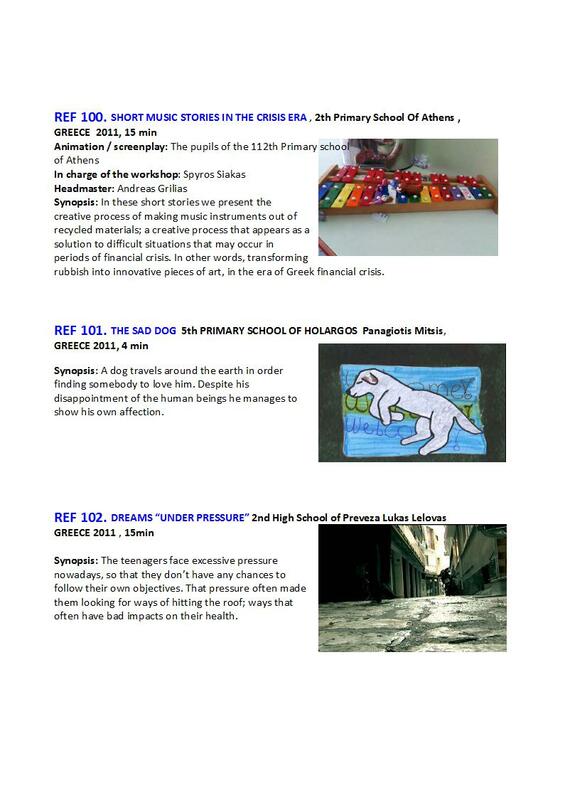 These films created by children from Greece and at the initiative of Camera Zizanio travel the world seeking a broader view and new distinctions. 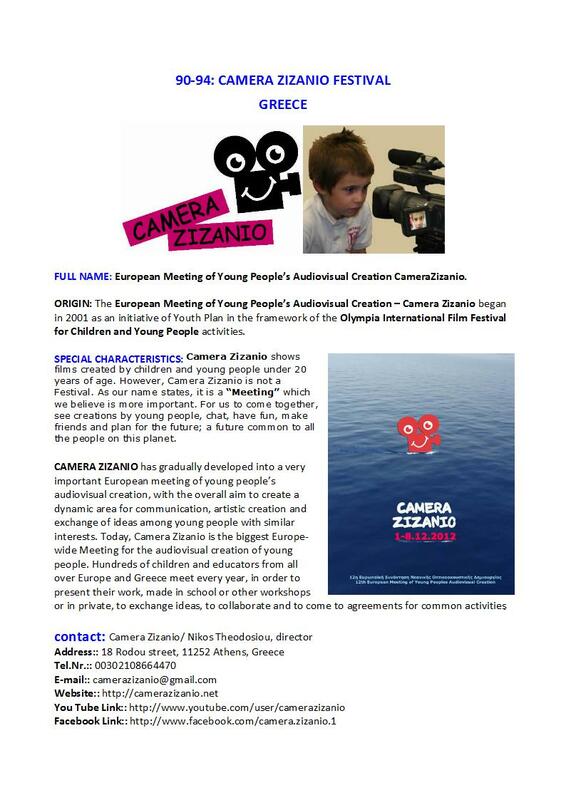 The catalogue of the Festival of Finland devotes four pages for the presentation of Camera Zizanio and greek films. 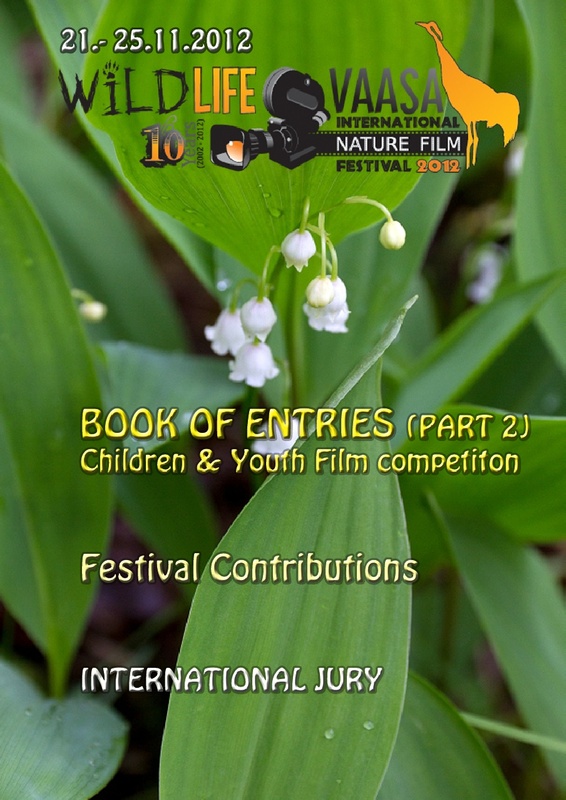 Every success to WILDLIFE VAASA FESTIVAL!